RBC and WestJet announced a new partnership between the two companies yesterday via a new loyalty platform called Ampli. Of course the two companies already have an existing relationship and this program will go beyond that. 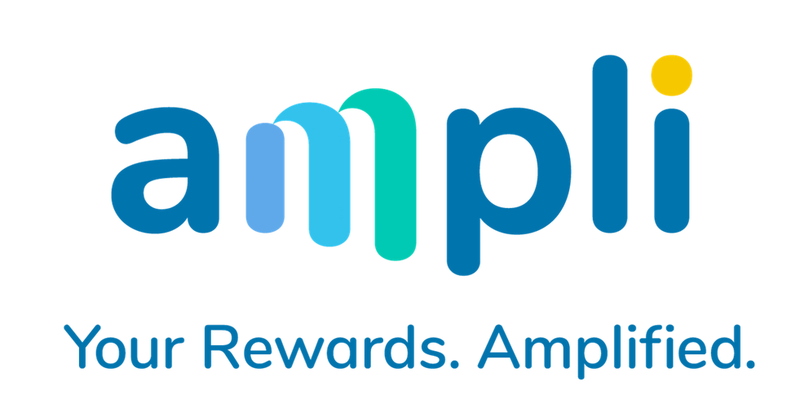 The program, Ampli (a play on Amplify) is set to launch later this year. The digitally based program will have merchant offers, bonuses and options to use those rewards via their participating merchants and "members who spend on RBC cards and fly with WestJet will further amplify their rewards"
Customers will benefit by expanding the number of ways they can earn points. The program also helps Amex, by giving merchants another reason to keep accepting American Express cards, which tend to be the most expensive for merchants to process. Credit card companies have long been able to reward spending at particular types of merchants, using what are known as merchant codes. That’s how credit cards are able to give extra points or cash back on gasoline, travel, hotels and other broad categories. Whether Ampli will go the blockchain route will yet have to be seen but it does seem relevant to what they are trying to achieve. I have a feeling they aren't out to sell points like their main competitors - rather it's about collecting data, amplifying their own programs and keeping consumers within their circles with this additional marketing platform. We also know that they are out to capture the Aeroplan and AIR MILES disgruntees (not a real word but one I'll invent today) as can be gleaned directly from interviews with WestJet's Ed Sims and other media mentions. Overall it seems to be a hybrid of a coalition program (a mini-coalition program as we call them now, SCENE, Triangle etc. ), an app based program (think Drop) and perhaps they'll go the blockchain way like Amex is doing. Do we need another program in Canada? No, not really but the reality is we are seeing the evolution of our market move from the several big players to the many smaller ones. Does it saturate our market? You bet it does. Will all the programs survive? Probably not. Will Canadians join them all? Yes they will, we like to be part of the all. The good news is that for the next four to five years the Canadian consumer will be the winner. All this competition is good for us and all the programs want you to be part of them so there will be really good offers to lure you in. Then once Air Canada launches their own program in 2020 everyone will compete for a bit and settle down, by 2022 or 2023 we'll probably see these programs scale back their value and we'll all get mad and frustrated with them. We've seen it in the credit card market over the past few years. Everyone was out with amazing offers for everyday spend value or sign up bonuses and while there are a few outliers providing more value now (think Cobalt) most have been reducing the value of their rewards or sign up offers (BMO, TD, etc.) The same will happen with these programs. It's just the natural cycle of them. Enough from me on this for now. I'd like to hear what are everyone else's initial thoughts on this new program?